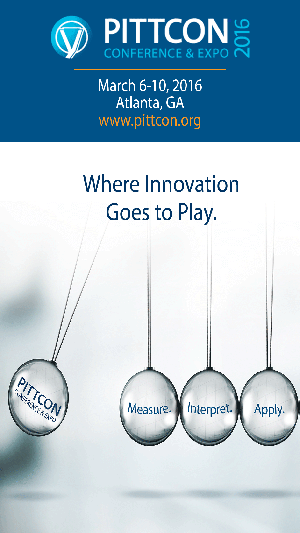 Santa Rosa, Calif. – Jan. 13, 2016 ATIV Software today released the Pittcon 2016 mobile conference app powered by EventPilot for The Pittsburgh Conference and Exposition (Pittcon). The EventPilot conference app enables Pittcon’s meeting planners to provide attendees a paperless tool for browsing all conference proceedings and exhibitors as well as for building their personalized schedules across multiple devices. Learn more at http://ativsoftware.com. EventPilot conference apps provide a long-lasting and sustainable solution that helps reduce a meeting’s carbon footprint. All program content is included in one easy-to-use event app. Thousands of laboratory science experts attending this year’s Pittcon can browse relevant program sessions and exhibitors. Using the event app is easy with visual timeblocks and enhanced filtering capabilities. Attendees can navigate the expansive exhibit hall with animated mapping features that drop pins on exhibitor locations, click through to exhibitor details via reverse mapping, and highlight favorited exhibitors. EventPilot supports paperless events by integrating all conference content into the event app, such as session and exhibitor content, PowerPoint slides, PDFs, handouts, abstracts, videos, surveys and live polls, creating a valuable reference tool that is used by attendees long after the event. Pin drop animations show attendees precisely where session rooms and exhibitors are located at the venue. A user’s favorited exhibitors display an icon directly in the venue map allowing for easy navigation and efficient use of exhibit hall time. Attendees can seamlessly transition from one device to the next. The event app automatically backs up all user data in the EventPilot cloud and syncs all changes across different operating systems. The free iPhone and iPad meeting app is available now in the App Store. The free Android event app is available in Google Play. Search “Pittcon 2016”. A web version is available for Windows Phones and other web-enabled devices.